Manitoba History: Number 82, Fall 2016: "Western Canada at War"
Sources: Wikimedia Commons, Library and Archives Canada, Library of Congress, Archives of Ontario. This full issue is also available in PDF format. 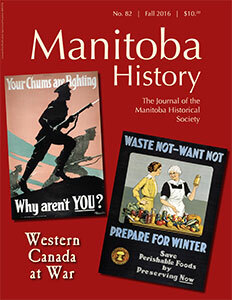 This special issue is prepared with financial support from Canadian Heritage.